This Holster fits Gun Model: Colt 1911. Can be attached on the waistband and fasten to the leg. Full-length holster body protects rear sights. Accessory mounting locations for magazine,knives,etc. Belt made of high quality thick nylon and holsters made of high density durable polymer. Flexible thigh platform conforms to leg size. 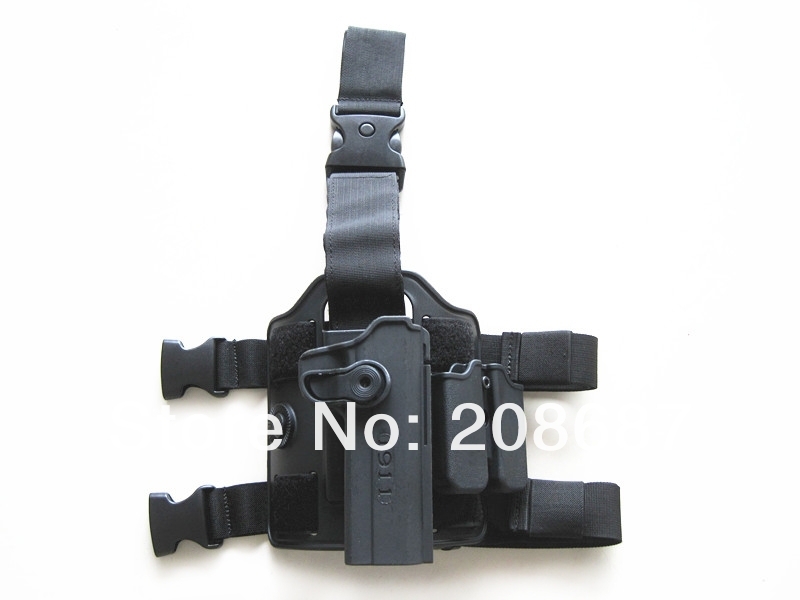 Adjustable swivel buckle design for the flexibility of the length of belt, quick holster mounting and dismounting. Ideal for military, law enforcement, hunters, home, self defense, etc. Made of high density durable polymer.